Help students receive drone kits!!! Students will demonstrate comprehension by researching their Social Justice Issue using the Library as a resource. 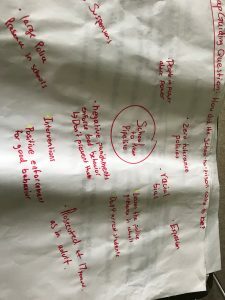 Students will write and read to find out what topic they would like to write and present dealing with Social Justice issues. 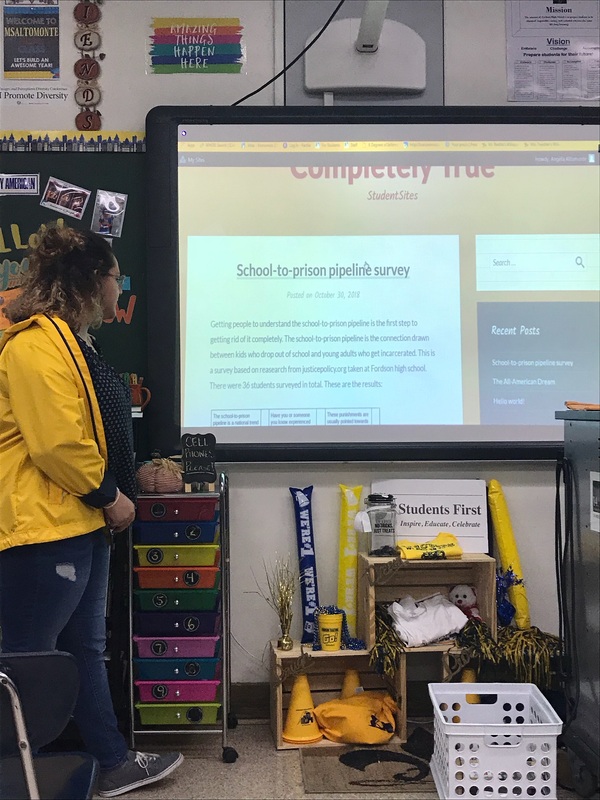 Students will demonstrate the evaluation of their School to Prison Pipeline by presenting their findings and post on their blog to the class. Students will listen to presentations and fill out an audience feedback form. What is the best summary of the news for today? What is the author’s main purpose in providing this information? 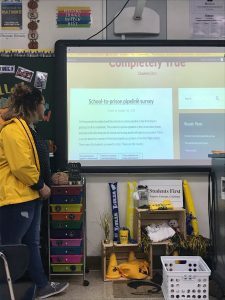 content: SWD comprehension of the School-to-Prison pipeline by finishing their last minute touches and practicing with a partner presenting the data out. Students will prepare and participate effectively in a range of conversations and collaborations with partners, building on other’s ideas and expressing their own clearly and persuasively to present their take action projects. Bellwork: Dialectical Journal SAT word during the announcement Add vocabulary in your glossary! 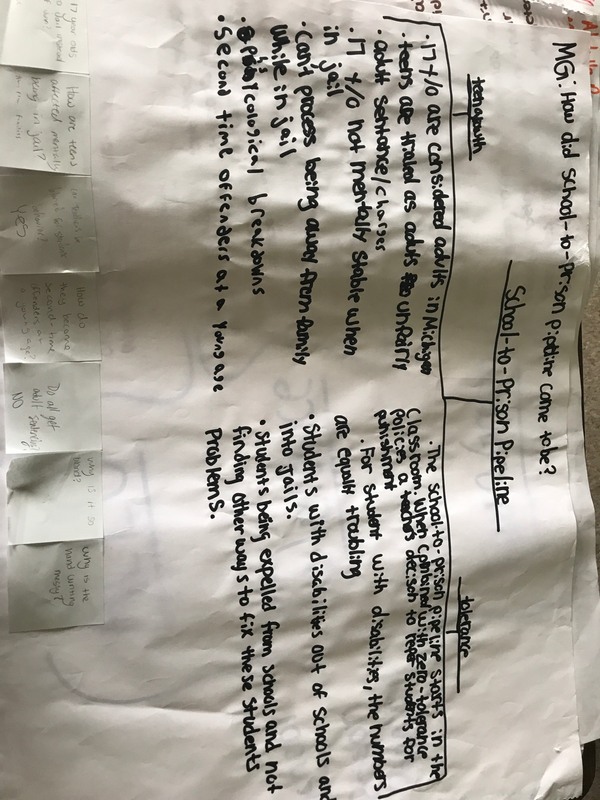 Content: SWD comprehension of the School-to-Prison pipeline by having an open discussion on what they blogged about and choosing a project topic to create centered around the topic. 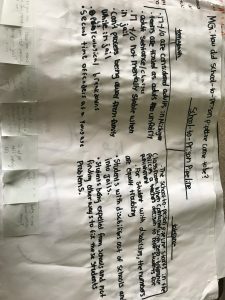 Students will prepare and participate effectively in a range of conversations and collaborations with partners, building on other’s ideas and expressing their own clearly and persuasively. What can you do to teach/educate others about this topic and/or take action? You may choose one of the following to do on your blog or other outlet let me know! Research state laws on discipline. Write a essay or create a chart that responds to the following questions: Are there any laws that criminalize behavior in school? Are there laws in school must, can or cannot suspend or expel students? You will have 10 to 15 minutes to read the article silently. In the folders are annotations you can make while you read. Either SOAPs Tone or use the annotation bookmark. What did you learn you didn’t know before? What surprised you the most? What didn’t did the School-to-prison pipeline come about? What’s an example of something that happens in your school that reflects the School to prison pipeline you may have heard? Create a blog about your thoughts to the article using these questions! Remember it is a blog, dialogue not a question and answer format. Why did the police act that way to the student? Complete sentences! 30 seconds turn and talk. Teenagers talk back to teachers more than they should.  Sometimes students are disciplined too harshly and they don’t deserve the punishment they get.  Having police officers in school makes me feel safe.  Students get disciplined, suspended or expelled in different ways depending on their race. 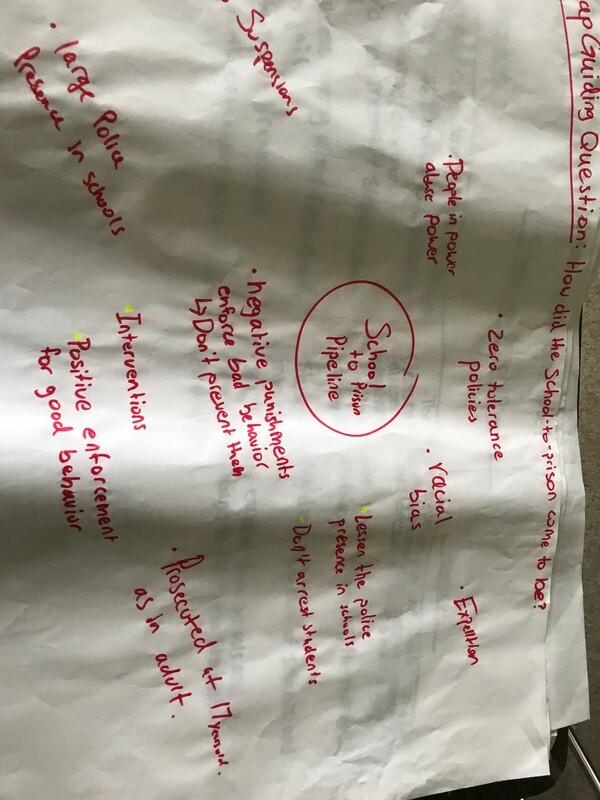 Bellwork: Discuss the need to knows and the nice to know questions on your thinking map from yesterday. How would you answer them with the evidence from the article? Content: SWD applying vocabulary words that are used in reading for School-to-Prison pipeline by creating a frayer model. Language: Students will determine or clarify the meaning of unknown and multiple-meaning words and phrases by using context clues, analyzing meaning word parts.